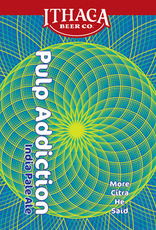 "Pulp Addiction India Pale Ale returns for 2019 with four brand-new hazy brews, crafted with some of the most iconic hops in IPAs today. Soft, hazy, and very juicy! Shelf life 45 days max, must be kept cool. 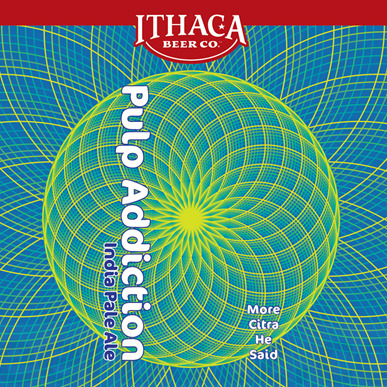 “More Citra He Said” is brewed with a heavy hand of Citra hops, boasting juicy qualities of orange, grapefruit, lemon and lime, along with a secondary tropical, floral component. Galaxy boosts the tropical notes with unmistakable passion fruit."